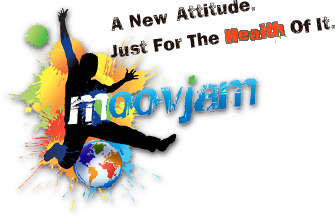 By sponsoring Moovjam’s Lifestyle Program in schools, students of all ages will have the opportunity to be in charge of their health. Moovjam’s program will provide them, their teachers and their families with the tools and resources they need to live a healthy and productive lifestyle, and we will encourage and reward the development of leadership skills so they can become healthy trendsetters that reinforce messages of health and productivity through ACTION and a NEW ATTITUDE in schools and social settings. Moovjam has been effectively uniting with industry leaders towards the health of students, and their teachers and families since 2005. We have clear directives, and can also act as a broker to facilitate health related dialogs between consumers of all ages and corporations. It is abundantly clear, however, that a healthy future begins with the wellbeing of children. They haven’t had the time to develop deeply ingrained lifestyle habits yet, so they won’t be resistant to the lifestyle changes that are necessary to ensure their health and longevity. Essentially, children need easy and convenient access to health related tools and resources. As access improves through sponsorship, behaviors will change. In turn, these changes will lead to a healthier population, and a new customer base for healthy products and services. Sponsoring Moovjam’s Lifestyle Program makes good business sense, and provides students, teachers and families with everything they need to live a healthy and productive lifestyle. There are many ways to sponsor Moovjam’s lifestyle program in schools. Please inquire about our grand events and customized corporate lifestyle programs. All proceeds from our events and corporate programs go directly towards funding our lifestyle program in schools. Please contact us on this website for more information.